THE EBB AND FLOW OF POLITICS ! Conditions, circumstances and opportunities are continuously changing, and accordingly, political positions change. For five years, Turkey was dead against Assad of Syria. In fact, it took the leading role in inflaming the Syrian, so-called, civil war and was the vanguard in calling and working for Syria’s Assad ouster. With the shrinking of our income, we have begun to dig up old ledgers in search of scapegoats to blame for the loss of revenue, and thence, in search of someone to burden with our expenses and free more net income for us. This is very normal thinking and reflects commercial shrewdness usually restricted to private companies. Opposite to Soros, Rothschild buys Gold! It is now reported that the Rothschild group are buying gold. Lord Jacob Rothschild expressed his concerns regarding the stability of world markets, and stressed that in such turbulent and unpredictable situations, the preservation of capital becomes top priority – presumably more important than achieving a return on it! He has therefore sold part of his equities’ and placed the money in gold. Author MarsalPosted on August 20, 2016 August 22, 2016 Categories Daily Basket of News Commentaries, Economics & BusinessTags Gold, Rothschild, Soros, سوروز ، الذهب ، روثشايلد1 Comment on Opposite to Soros, Rothschild buys Gold! New medical research indicates that the Zika virus can last over six months in an infected person, and can transmit it to his partner. Zika virus can cause birth defect microcephaly, and the mosquito carrying the virus is usually found in hot countries. However, recent infections have been discovered even in Miami. A recent Yale university research indicated that those who read more than 3.5 hours a week live longer than who don’t read. Newspapers do not count as reading. The USA ranked 23rd in worldwide reading in 2015 and Americans purchased 652 million books (both hard copies and electronic). Author MarsalPosted on August 18, 2016 August 17, 2016 Categories Health & FitnessTags health, longevity, reading, الصحة ، القراءة ، طول العمرLeave a comment on READ MORE, LIVE LONGER! RUSSIAN BOMBERS BASED IN IRAN! Wow, So many birds with one stone. Is this a game changer in the Middle East? It was reported yesterday (Tue Aug 16, 2016) that long range Russian bombers flew out of an Iranian military airfield to bomb targets in Aleppo, Syria. This is the first time in over thirty years that a foreign a military presence is seen in Iran. And a first for the Russian military in Iran. What does this mean? Author MarsalPosted on August 17, 2016 August 17, 2016 Categories Daily Basket of News Commentaries, PoliticsTags GCC, Iran, Military Bases, Russia, Saudi, Turkey, USA, مجلس التعاون ، ايران ، قواعد عسكرية ، روسيا ، السعودية ، تركيا ، امريكا ،2 Comments on RUSSIAN BOMBERS BASED IN IRAN! George Soros, the Hungarian/American billionaire investor/political activist is as controversial as they come. He became famous, and a lot richer, when he sold the Pound Sterling short in 1992 and received the title “The Man Who Broke The Bank of England”. He also contributed to the currency crisis of 1997 in South East Asia. And a few months ago, stated that the Chinese Yuan is overpriced and due for a correction. More recently, Soros was in the news buying huge amounts of gold, including gold mining shares and gold futures. Yesterday, he sold off his gold holdings! Is gold going down the drain? Possibly, but the market still seems to be bullish on gold. Not to mention that Russia and China have been stocking up huge quantities of gold for over a year now, to reduce their reliance on the US Dollar as reserve currency. 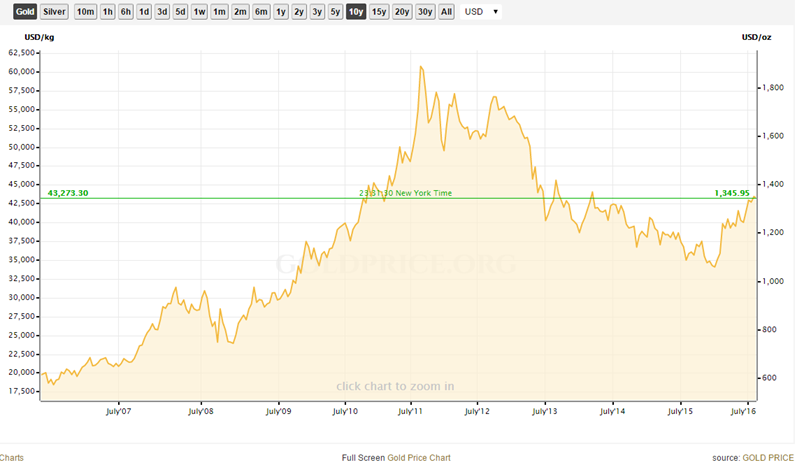 With the reluctance of the US Fed to raise interest rates, probably till the end of 2016 or even till Q1 2017, and with the world political tensions rising at an accelerating pace, one would expect gold to remain in demand as a safe haven. Then, what is Soros doing selling gold? Profit taking? Possibly, but let us not forget that he is basically a trader and his forte is shorting. Traders have an itch to alternate between bullish and bearish positions, and the bigger and louder they are, the more likely they are to impact the market in their direction – even if only in the short term. It may not be wrong in the short term, to follow closely in the steps of Soros, the Wizard, but hope he doesn’t veer unbeknownst to us. Author MarsalPosted on August 16, 2016 August 16, 2016 Categories Daily Basket of News Commentaries, Economics & BusinessTags Gold, Soros, سوروز ، الذهب1 Comment on IS SOROS PLAYING GOLD?